Beaumetz-les-Cambrai is a village 1 Km south of the N30, Cambrai to Bapaume road. Beaumetz Crossroads Cemetery lies to the south of the village on the road to Hermies. 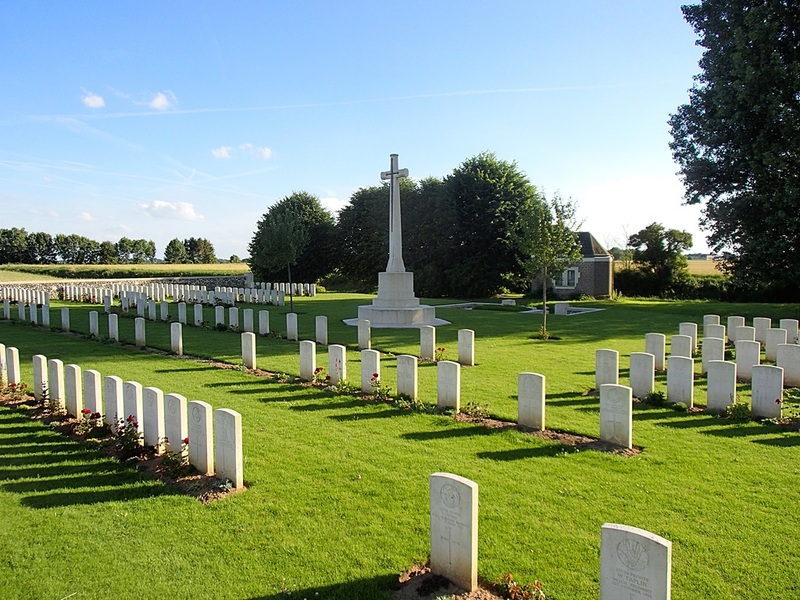 To reach the Cemetery, take the D18E into Beaumetz les Cambrai, off the N30. 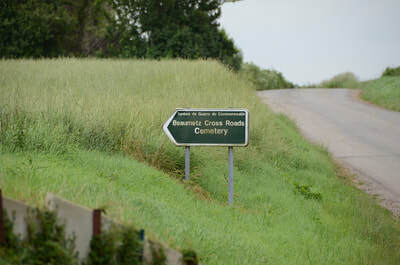 Once in the village, follow the CWGC direction signs. The village of Beaumetz-les-Cambrai was captured by the enemy on the 22nd March, 1918, after an obstinate defence by the 51st (Highland) and 25th Divisions, and retaken in the middle of the following September. 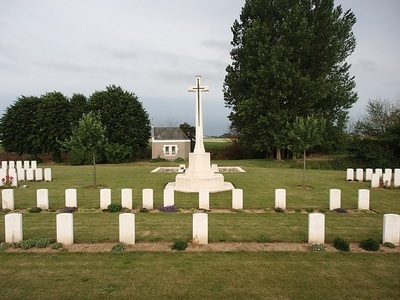 Beaumetz Cross Roads Cemetery was begun by fighting units in March, 1917, and used until February, 1918; these graves are in Row D. The Germans knew it as No.6 (English Military) Cemetery. 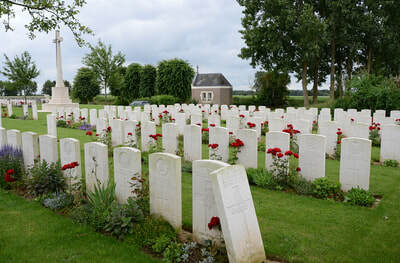 Further British burials were made (in Rows E and F) in September and October, 1918. 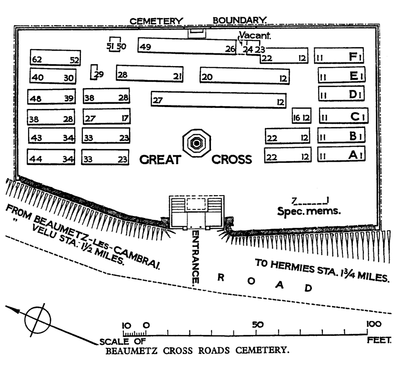 After the Armistice graves of 1917-18 were brought in from the surrounding battlefields and the body of one United States soldier was removed to another cemetery. There are now over 250, 1914-18 war casualties commemorated in this site. 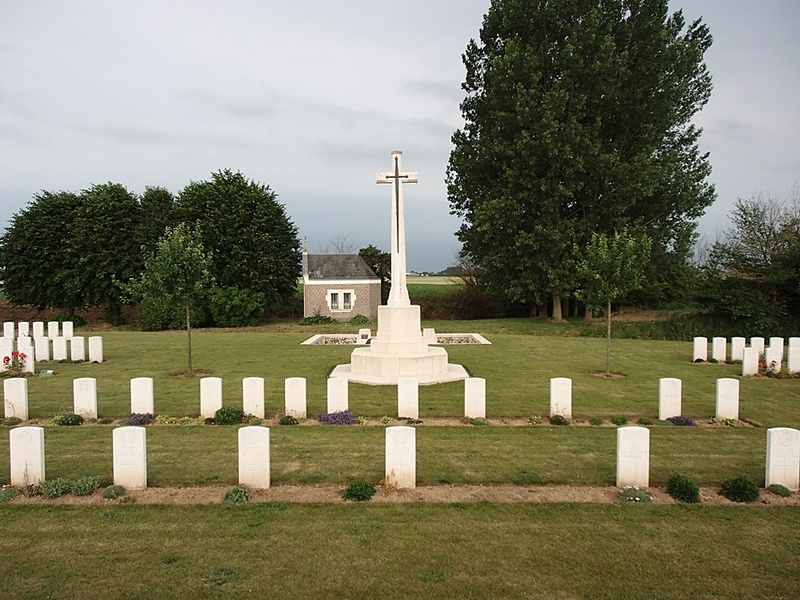 Of these, over a quarter are unidentified and special memorials are erected to four soldiers from the United Kingdom and three from Australia, known or believed to be buried among them. 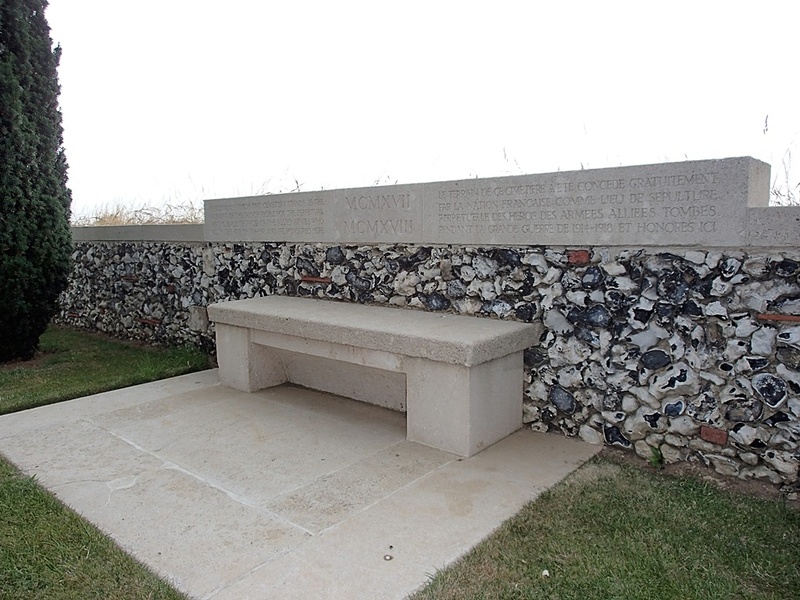 The Cemetery covers an area of 1,405 square metres and is enclosed by a flint wall on three sides. 23rd March 1917, aged 28. Son of Robert John and Emily Bailey, of Cardiff, New South Wales. Native of Tamworth, New South Wales. Pte Bailey enlisted on 8 June 1916 and embarked from Sydney aboard HMAT Afric on 3 November 1916. 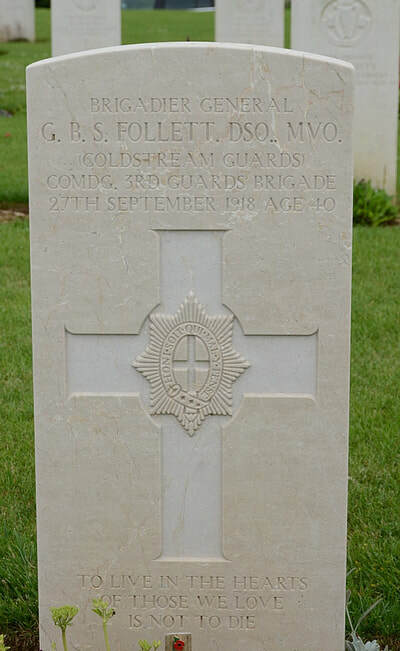 He was killed in action in France on 23 March 1917, aged 28 years. 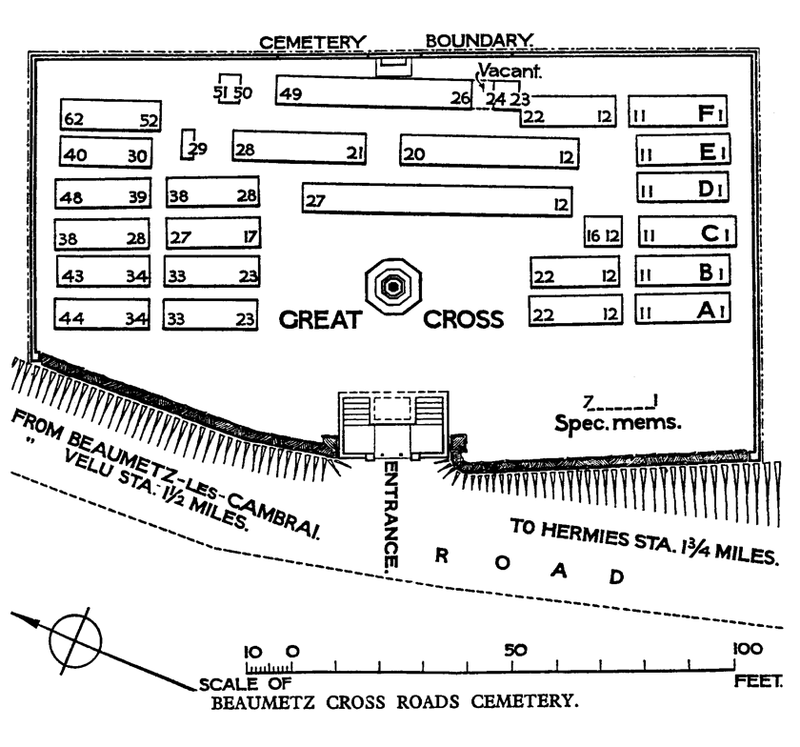 He is buried at the France 756 Beaumetz Cross Roads Cemetery Beaumetz-les-Cambrai. 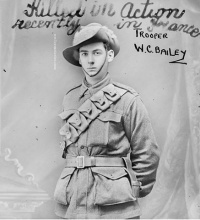 His brother, 50 Corporal Vivian Robert Bailey, 30th Battalion, also served with the AIF. He was killed in action on 23 March 1918. 9th April 1917, aged 23. 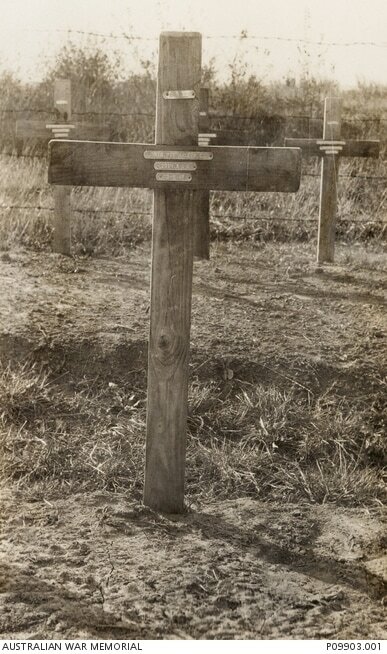 Son of Arthur and Caroline F. Fry, of "Denegully", Northcote Rd., Lindfield, New South Wales. 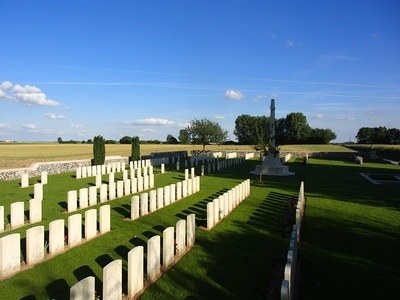 His brother Alan Fraser Fry also fell and is buried at Warloy-Baillon Communal Cemetery Extension. A demonstrator in Zoology at the University of Sydney, and son of the first female graduate of the University, he initially served in the Australian Army Medical Corps. 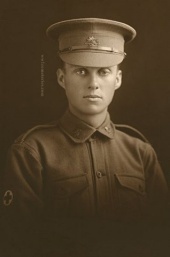 After one trip on Hospital Ship Karoola he transferred to Infantry and trained at Duntroon. he was allocated to the 3rd Battalion and embarked from Sydney with the 19th Reinforcements aboard HMAT Wiltshire (A18) on 22 August 1916. Pte Fry served on the Western Front; he was killed in action on 9 April 1917, aged 23. 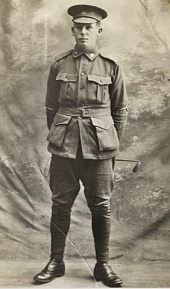 His brother 1340 Pte Alan Fraser Fry, 13th Battalion was wounded on 13 August and died on 14 August 1916 and his uncle Major James Whiteside Fraser McManamey, 19th Battalion, also a graduate of the University of Sydney, was killed in action at Gallipoli on 5 September 1915. 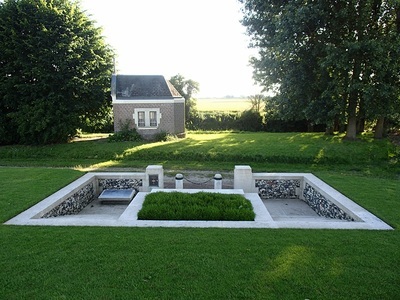 24th March 1917, aged 23. Son of Thomas Hugh and Mary Warnock, of Swan Pool, Victoria, Australia. A labourer from Swanpool, Vic prior to enlistment, Pte Warnock embarked with the 4th Reinforcements from Melbourne on HMAT Orsova on 1 August 1916. 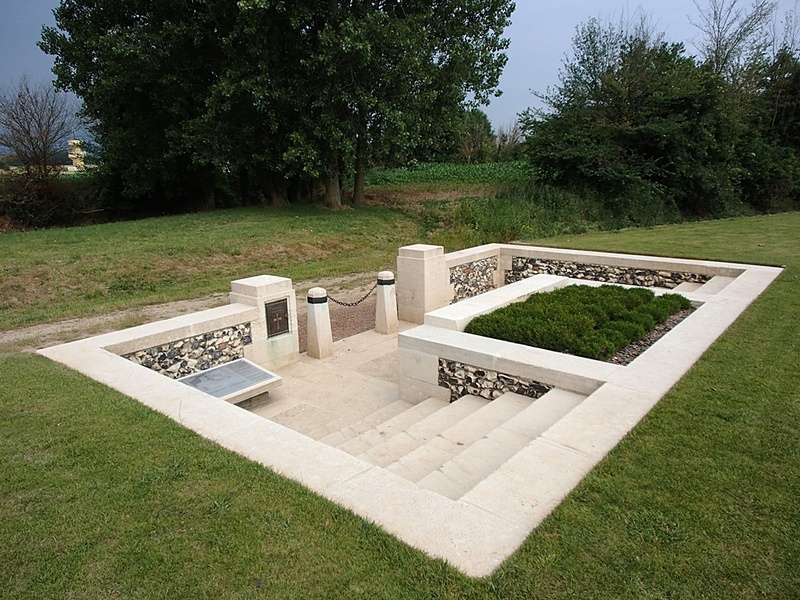 On arrival in England he was transferred to the 57th Battalion. Whilst serving on the Western Front he was promoted to Corporal and was later killed in action on 24 March 1917, aged 23. The grave of 3878 Private (Pte) Robert Charles Vale at Beaumetz Cross Roads Cemetery. A labourer from North Fitzroy, Victoria, Pte Vale embarked with the 29th Battalion from Melbourne aboard HMAT Commonwealth on 19 September 1916. 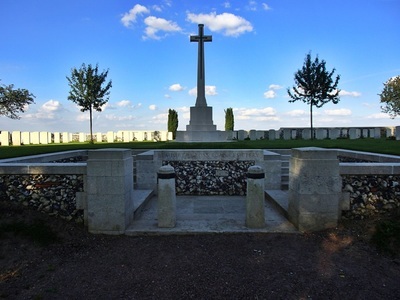 He was killed in action in France on 23 March 1917. 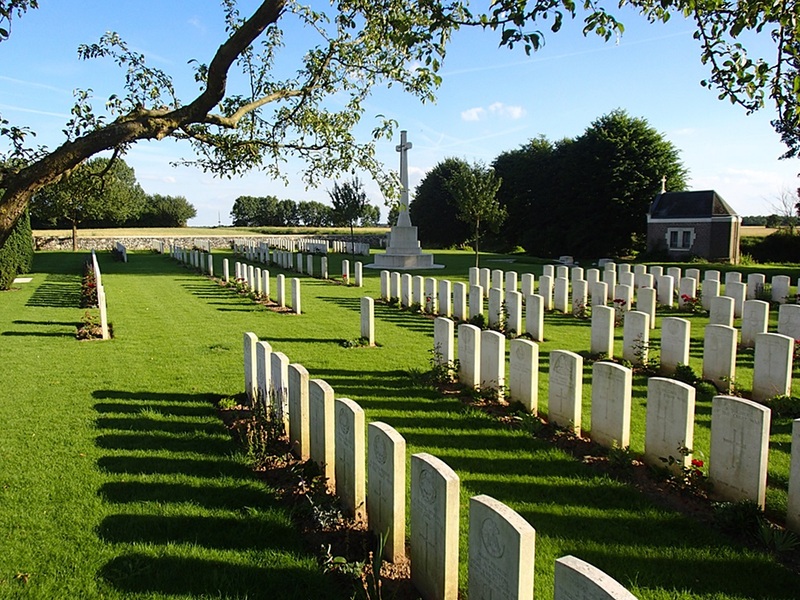 Pte Vale was 32 years old.